So, Ashton Kutcher is a pretty incredible Dad — and after fathering baby Wyatt with wife Mila Kunis, he realized that he really likes being the father of a young girl. After a bit of a slip-up, where he announced that he was expecting a boy for child #2, the topic of his second baby became all people wanted to talk to him about. And while Kutcher is sure to love his second child like crazy, he recently admitted to Seth Meyers on Late Night that he was sort of hoping for a second little lady. "I was hoping for a girl because first of all, our first girl is unbelievable," he said. "But also I figured if we had a girl second, [Mila] might give me one more shot at having a boy and now I don’t know. It’s even money, she might cut me off. I want, like, 12 of them." Yikes. Hear that, Mila? Your husband wants twelve children. Twelve. Of course, his reason is also super sweet. He’s so fond of baby Wyatt (and babies with Kunis in general) that he wants to re-experience a newborn baby girl all over again. Aww, Ashton. Kutcher also stopped by The Tonight Show and swapped some fatherhood tips with Jimmy Fallon, who also has two girls — Frances and Winnie. "The first one, I almost became a doula. I was reading every book. I was ready. 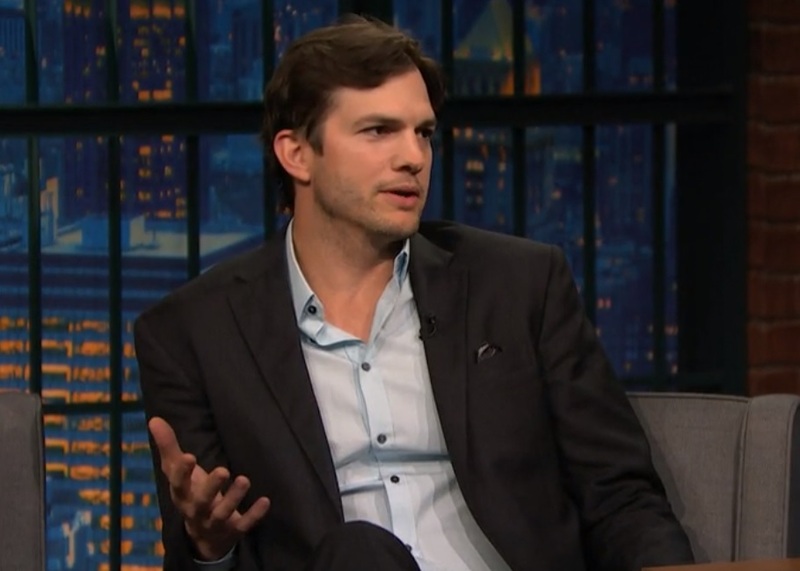 I had like a catcher’s mitt on," Kutcher joked. "This one, I haven’t done anything. I’m like, 'Well, we didn’t break the first one.'" … He’s like a Luvs commercial come to life. We can’t wait to hear about the arrival of Kutcher’s first son! We have a great feeling that Wyatt is going to be an absolutely amazing big sister, no matter what.